Indeed it was William H Littlejohn, and his poem Hospital Ship in Forgotten Poets of the First World War, is illustrated with a photograph of the Russian HS the “Vpered” sunk in the Black Sea off the Turkish coast on 8th July 1916, by U-38. There in the drift of the bay. Out of their sight from the bay. Out where the white seas toss. Did you make home from the bay? 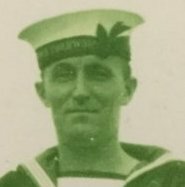 Interests:Driver Sydney Alexander Smith, RFA No. 695622 and sportsmen of WW1, particularly the players of Everton FC, champions of England in 1914-15, CD Everton of Vina del Mar in Chile and Everton AFC of Auckland, New Zealand. Is that a book, or Lucy London's rather good website or facebook page? Good find none the less, and I feel proud to have contributed in a small way. That’s the website I found it on, stumbled onto it whilst searching for someone else sometime backhen WIT was looking at poets. I actually took some time out to have a wider look and it is a very good reference, the number of names listed is quite surprising, Littlejohn stuck out because of the Hospital ship photo. along with a Fortnum and Mason hamper and a couple of bottles of bubbly? Standards, dear boy, standards. Alas, no. Diabetes, dear boy, diabetes. I am prepared to sacrifice my time on this...if Sir's chauffeur can arrange a time to be at the Grace Gates, then I am prepared to supervise the disposal of the hamper and the bubbly. Lords? yes, every time I go there it is full of completely p*ssed lawyers droning on all day about how much money they make. Drunk before the first ball and slumbering gently long before the first new ball. ndeed it was William H Littlejohn, and his poem Hospital Ship in Forgotten Poets of the First World War, is illustrated with a photograph of the Russian HS the “Vpered” sunk in the Black Sea off the Turkish coast on 8th July 1916, by U-38. That I did not know- I merely thought that Knotty should have attended some more Geography lessons while at school. Interesting as "Vpered" means "progress" or "forward" and is the title of a Russian "revolutionary journal- which I have buried away in my old bookselling stock- Never thought the name would turn up on GWF! I like Lucy's site as among many other things it provides a good counterpoint to the adulation of a certain stationmaster's son who spent his adolescence in Birkenhead. Lucy was kind enough to help me when i was writing something about war poetry; she is a star. As a website goes Women Poets of WW1 is none too shabby either. V60's conundrum is proving most difficult. While we try and work it out, who might this chap be? You may recall that when I posted #9670, it was confidently stated in reply that "it cannot be a UK general, because of the beard." But you will remember that he was a UK general - the Reverend Dr. J.M.Sims. Principal Chaplain to the BEF. Which explained the beard. But this chap was not a padre of any stripe. He had command of a Brigade in the British Army. Who was he, and how did he get away with the beard ? ? ? Lieutenant John Buswell WYMAN Royal Flying Corps. War Office: Officers' Services, First World War, Long Number Papers (numerical). Officers Services (including Civilian Dependants and Military Staff Appointments): Long Service Papers. Lieutenant John Buswell WYMAN Royal Flying Corps. In case anyone is wondering about the absence of our Pal “neverforget”on WiT recently, he has had a few ups and downs, I won’t go into details on his downs but the big up is he became a grandad again this week whilst on a break in York. He wishes to be remembered and will return to the fray quite soon. OK- a final clue- Can't really make any eauier without putting up neon display lights. Now back to the bearded one! Now back to the bearded one. I should have posted sooner but for some reason l was trying to tie the last two up with Brian Jones and Mick Taylor, took a while for the penny to drop. Can’t blame my age as one M Jagger was cavorting around the stage the other night I believe. Was this the sculptor Sergeant Jagger who carved the Royal Artillery memorial? As to the bearded one, is he one of the commodores who commanded the 1st and 2nd Naval Brigades in the RND? Thanks for the clue UG which gave me the 51st Highland Division. 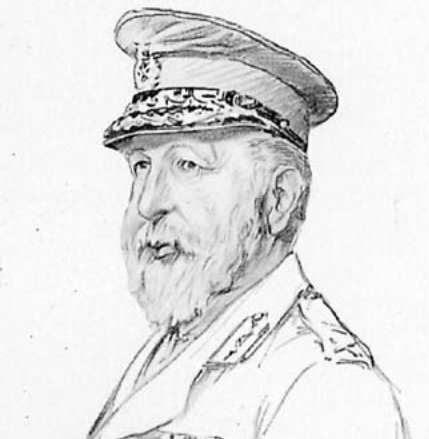 He is Brigadier-General Sir W. C. Ross, K.B.E., C.B., C.M.G. who was given command of 152 Infantry Brigade in Nov 1914, and the 1st Highland Brigade 1915/16, then on to the 228 Brigade in Salonika from 1916 to the end of hostilities. His beard was grown to cover the result of an incident during the Boer War, whilst commanding the 8th Mounted Infantry at Bothaville on 6th November 1900, during a surprise attack on De Wet's Boer Commando, his lower jaw was destroyed by a bullet and he nearly died. Correct on all counts. Well done indeed.
" ... Nor was their agony brief, or once only imposed on them. Being cured they returned and endured and achieved our redemption ... "
Too generous of a clue! He is Henry Lumley. "Not for the squeamish" indeed. Well yes, it is squeamish-but only up to a point Lord Copper. The story of Henry Lumley is but one of the myriad tragedies we call "The Great War". Yes, it is good to remember Harold Gillies, Macindoe and the developments in plastic surgery -particularly maxilofacial- but it was not a happy progress to a fore-destined end. It was a road marked with tragedy and loss-Henry Lumley was one. Too simplistic to say that "we learned from our mistakes" when "mistake" was a synonym for" death"
The Great War has become far too tidy. Not for the squeamish . But surely war is just squeamishness writ large? It's one reason why I do not like the present set-up at IWM- if you go there then,apart from the poppy motif hither and thither, the colour red is conspicuously absent- and that is not an accident. Memorialisation is "managed" for present-day concerns and "outcomes". We have a politically correct Great War. 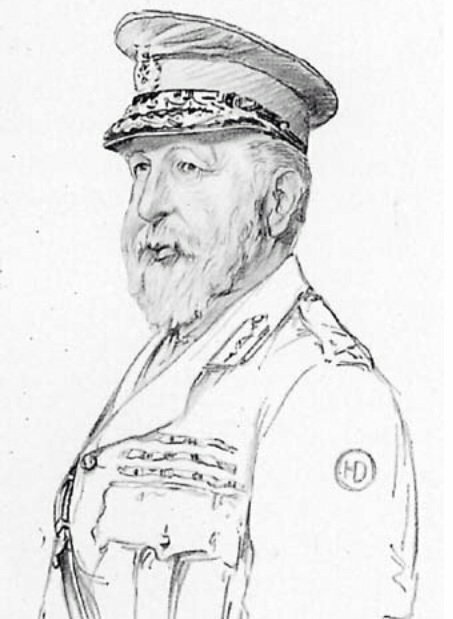 The pictures below of Henry :Lumley should be colourised and printed up on banners a hundred feet high and put outside IWM instead of the guns from HMS Terrible. But that might put off children from coming to the museum. And the tills would stop ringing. As Sherman said, "War is Hell" Not a bl***dy theme park. A politically correct Great War. I agree. But it was right I think for that website to put up the "not suitable for the squeamish" warning (which I was [mis]quoting). Many are easily offended, and one does not wish to give offence. The poppy has in my view been hijacked - a quiet symbol of gratitude and remembrance and contemplation has (witness the vulgar Tower of London display which was so unaccountably lauded) become more about the artist than anything else. A harrowing story that needs telling M. V. An excellent find. Available from IWM Shop Online. But the motif must work-whenever I wear the poppy earrings it always causes comment. As if. Henry Lumley was not put up as an excuse for a rant. I came across him doing a bit of reading for another RFC accident casualty who is local. 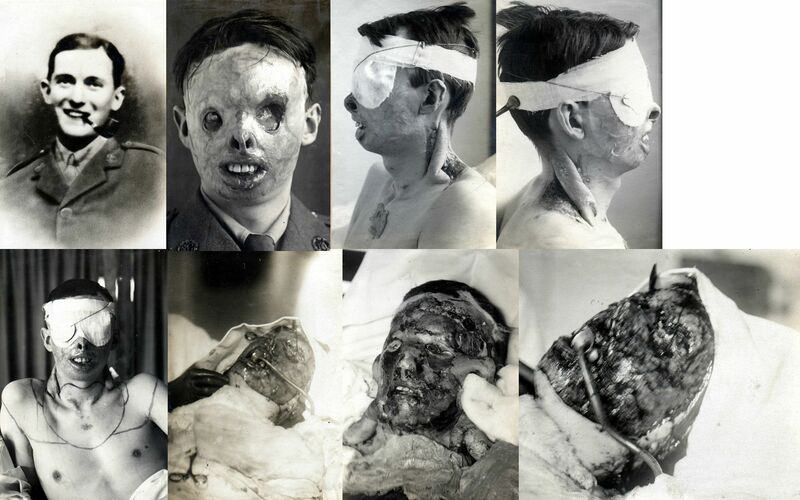 But it does remind us that something considered generally "good" as an outcome-developments in medicine such as plastic surgery come at the cost of the deaths of many of the servicemen involved- a process that could not take place in peacetime if that number of deaths had resulted in a medical "advance". Never get past NICE and Medical Research Council. A reminder that even for medicine, then lives were more "expendable" in a "good cause". An old friend- a retired medical researcher was thinking of doing a book on all of this sort of stuff-transplants, Tycho Brahe's nose, Washington's teeth- all the "make and mend" that medicine has devised- he even had the title-"Breaking for Parts". We can colourise black and white pictures, retrieve the written word, record veterans,etc- the one thing we cannot re-create is-thankfully- pain. 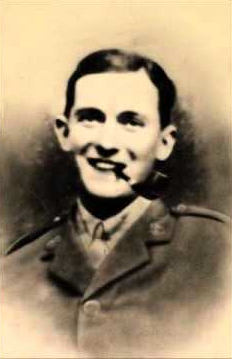 Look at the recent WIT- Gordon Harker-left with a permanent limp from war wounds-literally, for him, the war lasted with every step he took for the rest of his life. How much of our modern stock of what is "good" history about the Great War has been massaged-accidentally or by delliberate act-is something that intrigues me. I fear that many veterans of the Great War would not recognize,say,what IWM is offering as compatible with their experience. And the big question in all this- Are we remembering the past-or manipulating the future? I fear that many veterans of the Great War would not recognize,say,what IWM is offering as compatible with their experience. And the big question in all this- Are we remembering the past-or manipulating the future? It could well be argued (by me, anyway) that the history of any major event cannot be completed until all those who have taken part in it have died, since their experiences are influenced by their recollections of their part in it and cannot, therefore, be regarded as technically unbiased. We have to begin by re-naming Captain Dunn's famous book as "The War in France that 2nd Bn Royal Welsh Fusiliers Knew."